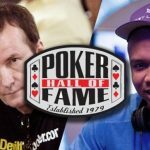 The WSOP announced the 10 finalists for the Poker Hall of Fame’s 2018 class, but only two from the list will be inducted. 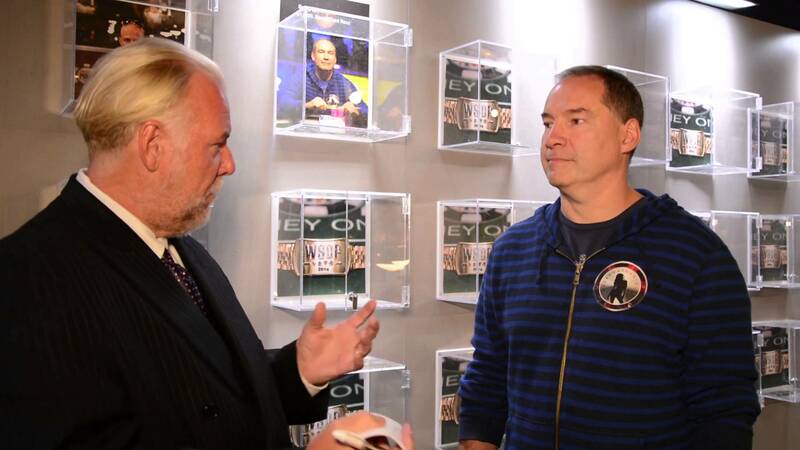 Names such as John Hennigan and Mike Matusow made the list, but Ted Forrest’s absence was baffling, according to Phil Hellmuth, a 2007 inductee. An 18-member media panel and the 28 living members of the HOF will vote on the two most deserving individuals – at least in their opinions – who will join the Class of 2018. David Oppenheim and John Hennigan are the two new finalists, replacing 2017 inductees Phil Ivey and David “Devilfish” Ulliott, while the remaining eight players are leftovers from last year. The voters have until July 8 to cast their ballots and the winners will be honored on July 13 as part of the Main Event final table festivities. Chris Bjorin: 70-year-old Swedish pro with two WSOP bracelets and $5.7 million in lifetime tournament winnings. David Chiu: 57-year-old five-time WSOP bracelet winner and popular poker boom era figure. Bruno Fitoussi: Influential Frenchman who defeated Amarillo Slim in the inaugural World Heads Up Poker Championship in 2001. John Hennigan: High stakes gambler has five WSOP bracelets and currently leads 2018 WSOP Player of the Year standings. Mike Matusow: Four-time WSOP bracelet winner and regular on popular poker TV shows throughout the 2000s. Chris Moneymaker: 2003 WSOP Main Event champ who many credit as the man responsible for the poker boom. David Oppenheim: Regular high stakes cash game pro who is a known big winner in Bobby’s Room at Bellagio. Matt Savage: WPT Tournament Director is responsible for creating international tournament rules. Huck Seed: 1996 WSOP Main Event champ has over $7.6 million in lifetime tournament winnings. To get inducted into the Poker HOF, players must be at least 40-years-old, have played high-stakes poker and stood the test of time, and had great success on the felt. Non-players, such as WPT Executive Tournament Director Matt Savage, can only get in if they are deemed to have contributed to the overall growth and success of the game. Savage, who helped create uniform tournament rules that casinos all around the world have implemented, has been openly lobbying to convince voters he is a deserving candidate. No doubt Savage has influenced the game, but will the voters favor a player over an industry employee? We’ll find that answer out in a few days. Chris Moneymaker, the 2003 WSOP Main Event champion, also had a positive influence on the game. Many credit him as being the person most responsible for the mid-2000s poker boom. Despite never having won another bracelet, he’s been a popular poker ambassador for 15 years. Moneymaker doesn’t compete in high stakes games and, statistically, his tournament results aren’t worthy of consideration as a player (just $1.2 million in cashes since 2003 and no WSOP cashes since 2011). But some voters may check his name on the ballot for the positive impact he’s had on the game as an ambassador and world champion. Ted Forrest is one of the best high stakes stud cash game players of all-time, has six WSOP bracelets, and won a WPT title in 2007, but has remained off the ballot to the dismay of Phil Hellmuth. 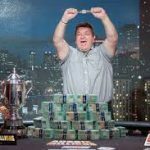 Perhaps, Forrest is a victim of “what have you done for me lately.” John Hennigan, the current WSOP Player of the Year leader, has a similar resume but got love from poker fans who nominated him as a finalist for the first time this year. Hennigan has five WSOP bracelets and has been playing high stakes poker over the past two decades. But he’s currently having his best World Series of Poker, winning a bracelet ($10,000 HORSE) and making the final table three other times. Forrest, on the other hand, hasn’t won a bracelet since the $1,500 razz tournament in 2014, which is also his last six-figure cash. Although the resumes are comparable and arguments could be made for either being the most deserving, Hennigan’s success is fresh in the mind of poker fans, whereas many young poker players may not be able to pick Ted Forrest out of a lineup. This could truly be the Hall of Shame.